I'm pretty sure that I started it all when I spilled my rice krispies all over the counter this morning... It was first reported as a 5.9 and turned out to be a 5.8 originating in Mineral somewhere in the Virginia/D.C. area. An earthquake hasn't hit NYC since 60 years ago, and it only happens about once a century. This was my first earthquake experience, I was at Jose's apartment in Rockaway Beach when the table suddenly started shaking. I had no idea what was going on! I thought it was the wind or a truck or something passing by... it wasn't until about an hour later that I found out what it really was when I heard about it on the news. I guess all of the phone lines were jammed with this, "thrust faulting earthquake." All of California is probably laughing at us right about now. In other news, the Canon 20D I had signed out from RIT just went into "error 99" mode since yesterday and it doesn't look like an easy fix, I'm just waiting to hear it from the tech guys when I get back. I was taking a photo from my car and it just happened, it must be some mechanical or cleaning issue. Fun times because I did not bring a back up and I know I'm going to hear it from Eric who was nice enough to have let me have it all summer! Yes to errors one week before turning in equipment! Sarcasm at its best of coarse. 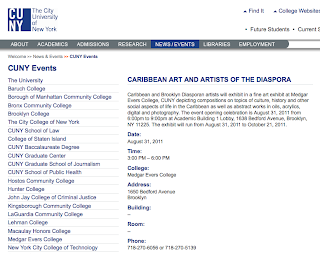 To end on a positive note, I was recently informed that two of my prints were chosen for an exhibition at CUNY: The Center University of New York http://events.cuny.edu/eventDetail.asp?EventId=33058 "Caribbean Art and Artists for the Diaspora" will run from August 31st until October 21st! 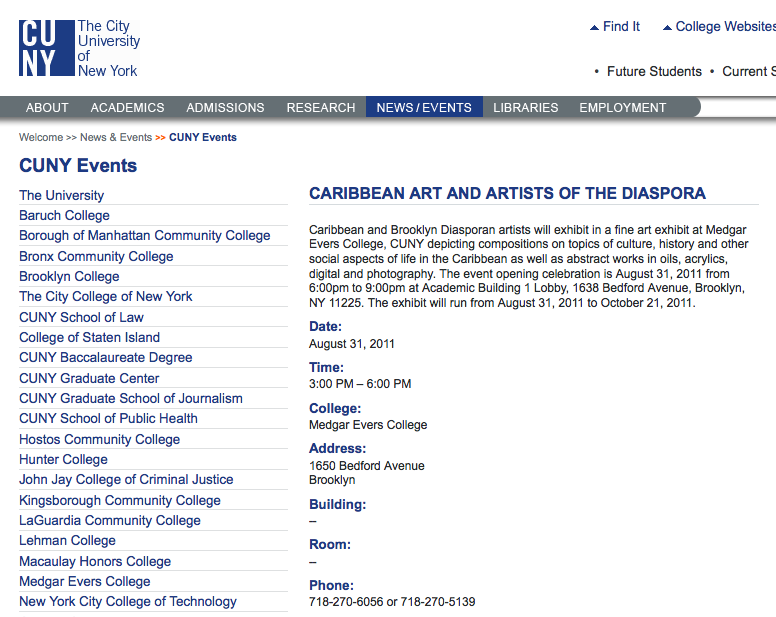 Also, I'm meeting Roni Henning at her studio in Brooklyn on Friday!